The boys started out in the thriving Melbourne pub scene of the mid 90s, a strange anomaly even then, opening for cranking horn-driven party bands with a meager three voices and one guitar, harmonizing quirky pop oddities before a largely nonplussed punter. Miraculously they gained a keen following, who happily stuck with them as they underwent the first of many metamorphoses – in this case, into regulars of the Melbourne International Comedy Festival. Soon afterwards Tripod became an institution on national radio via their “Song in an Hour” segment on the JJJ morning show, where their facility to crank out a fully fledged tune complete with harmonies and middle eight – according to deliberately obtuse listener suggestions – endeared them to a generation, and provided an invaluable training ground for a rich career in songwriting of all shapes and sizes. 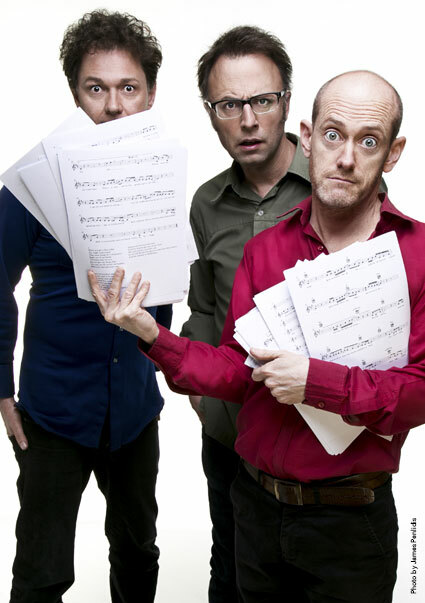 TV followed, including four seasons as writer/performers on network TV sketch show “Skithouse” – the album of which, “Middleborough Road”, won them an ARIA – as well as a year as regulars on the exuberant cabaret showcase “Sideshow” on the ABC, where they performed with everyone from the Cat Empire to Colin Hay. The boys have had significant success on the international stage – including one particularly scorching season at the Edinburgh Festival where the Scotsman newspaper gushed “..sometimes Five Stars isn’t enough”. They have created numerous musicals including the magical “Tripod Versus the Dragon” in collaboration with Megan Washington and featuring Elana Stone, and have toured the smash hit cabaret show “Perfect Tripod: Australian Songs” where they showcase their singing chops in a breathtaking a-capella quartet with Eddie Perfect. They continue to compose and arrange, including a regular stint as songwriters for the Cartoon Network. 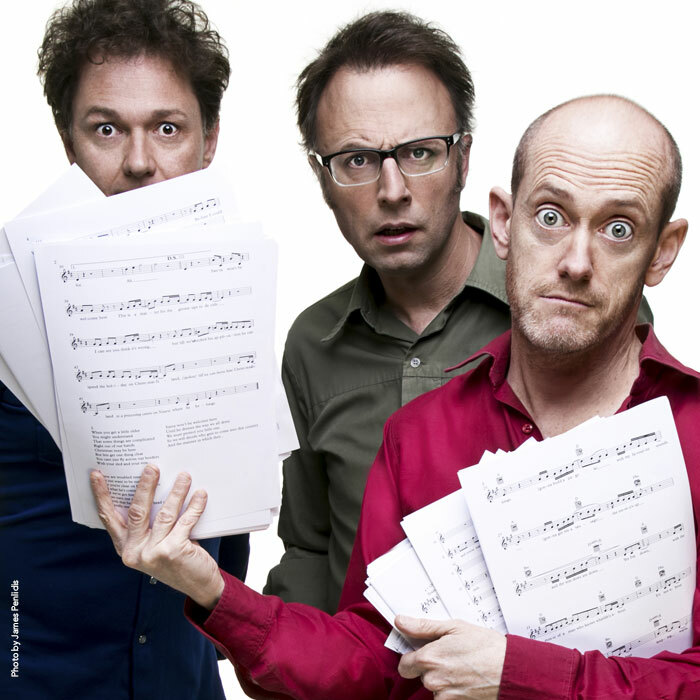 Their album Men of Substance, produced by John Castle (Bamboos, Washington) is a singular example of Tripod’s ability to bring an insane level of craft in both comedy and music, and combine them in a rich and satisfying way – an ability that has cemented them as a much loved cultural fixture in Australia.